Our events are managed by a dedicated group of volunteers! Volunteers do not necessarily have the time; they just have the heart! 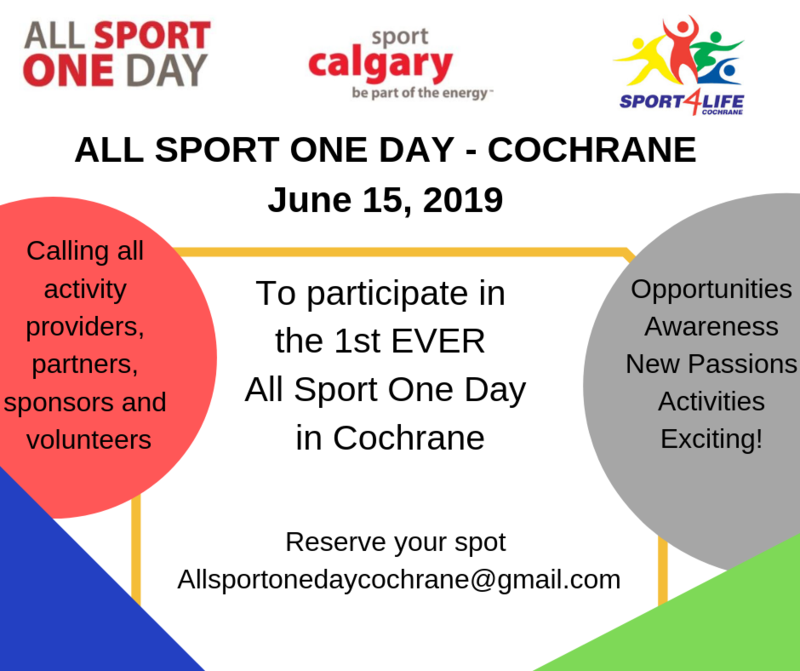 Sport 4 Life Cochrane would like to invite your club or organization to participate in the first ever All Sport One Day in Cochrane taking place June 15th, 2019. If you are interested, you would need to provide a couple of coaches and commit to leading 4 X 45 minute sessions between 10 am - 2pm. It is a great opportunity to increase awareness of your sport and do some recruitment! We have gym and field space booked, spots will be allocated on a first come-first served basis. ​This FREE workshop looked at how stigma contributes to misinformation related to mental wellness. Such misinformation contributes to a lack of understanding and judgement placed on the individual suffering which often leads to the devastation within the mental health crisis. Participants explored the importance of social responders and how they impact the mental well-being in individuals as well as inform awareness of self. Guest speakers from MindfulAthletics.